All of the MIMO-specific measurements are based on the full bandwidth and can be applied to 4x2 and 2x2 MIMO systems. The output is based on the channel H-matrix with complex values, mean amplitude and phase. From the channel matrix, a singular-value decomposition is calculated. The result, the singular value, is used to obtain the condition number, which qualifies whether the channel is “ill-conditioned” (no MIMO applicable) or “well-conditioned” (MIMO usable). The R&S®ROMES drive test software and R&S®TSMW universal radio network analyzer can be used for LTE-MIMO-specific measurements in 4x2 and 2x2 MIMO antenna systems. The software can capture the real-world scenario to validate MIMO performance for FDD (TD-LTE H1 2012). The measurements are based on the H-channel matrix, which is calculated per cell and per resource block. This enables further drill-down to determine factors such as interference, multipath fading, antenna correlation and noise in relation to their spectral position. All the data can be exported into ASCII and XML. This enables third-party tools for fading emulation to use the Rohde & Schwarz MIMO drive test solution to reproduce the MIMO channel in the lab. The MIMO feature requires R&S®ROMES 4.65 and the R&S®TSMW-K30 MIMO option. 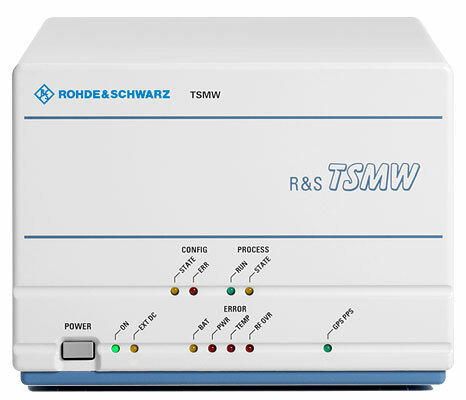 The R&S®TSMW option requires also the R&S®TSMW-K29 LTE option and a second receiver (R&S®TSMW-K71 must not be active). For MIMO measurements it is strongly recommended to use a MIMO antenna such as the R&S®TSMW-Z7 (700 MHz) or R&S®TSMW-Z8 (multiband) to obtain comparable measurements, since MIMO performance strongly depends on the antenna design.